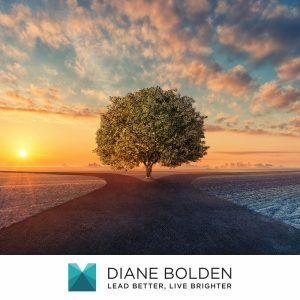 Are you at a crossroads in your life or your career? Do you feel like something amazing is ready to bust through but not sure exactly what it is, or how it will take form? Does it scare you? Do you find that things you used to be really good at are no longer satisfying or even interesting? Have you been daydreaming or even just longing for something different but not sure where to start? It might feel disconcerting and even overwhelming. Maybe you think you need to change jobs or even careers. Or perhaps you just feel you need a change of scene – different projects, new challenges, new opportunities. You might have already experienced some kind of significant change and are still reeling from it, not sure what to do next. Is there a great idea brewing that you just haven’t had the time (or the courage) to explore? Is something new and different beckoning? Perhaps you’ve put it on the back burner and tried to dismiss recurring daydreams to go back to the tried and true, but it just doesn’t seem to work for you anymore. In fact, it could be becoming downright miserable. And though you continue to resist the feeling that there’s got to be more than this, you can’t help but wonder if it might be true. If any of this resonates with you, you are on the verge of an exciting, energizing, transformation. But it may or may not feel exciting and energizing. Right now it could just be disconcerting and uncomfortable. And you may not know exactly what to do about it. What if you were not alone? Would it help to know that many people are feeling the same way? Some of them have just quit their jobs because they were miserable. Some have been laid off. Others are at the pinnacles of their careers, by all appearances wildly successful but dying on the inside. Some are at the helms of corporations or large organizations, wanting to take things in new, exciting directions but not sure where to go or how to get there. Others are inside organizations, acutely aware of what is possible and what is not working, but not sure it is their place to volunteer their thoughts and ideas or fearful that doing so is just too risky. Still more are entrepreneurs, artists, musicians, writers, and other creative, innovative, and resourceful people that are playing (or wrestling) with the idea of entering unchartered territory. The good news is, you don’t have to go off the deep end. Though change is knocking at your door (and may already have come through it), you don’t necessarily have to tear everything down and start over again. You just need to learn to see things differently – your opportunities, your challenges, your very self. And you need to learn to tap the reserves and the brilliance that is within you. Everything you have done up to this point has prepared you for what you are about to do. The world is waiting for it. Because you are human, you will resist it. It may overwhelm you because you can’t figure it out. As hard as you try to create a solid plan for moving through it and making sense of it, you will most likely continue to be baffled. Because it is not a matter for your head. You need to trust in something bigger than that — the same way that great visionaries, inventors, scientists, writers, artists, musicians and leaders have throughout the history of time. Your head and your ego will create illusions that will terrify you. They will weigh you down and exhaust you. Under their influence, you’ll talk yourself out of your greatest ideas, dreams and visions before you can even get your key in the ignition. What has helped me (and is still helping me) is enlisting the support of other people who are in the same place. People who are dreaming and searching and even suffering, people who are knee deep in their own fear and resistance and trudging through it, people who are REAL and not afraid to let others see that they don’t have all the answers but are STILL SHOWING UP, doing what they are called to do each day, and asking powerful questions that get them closer to finding their answers. These people inspire me. They support and challenge me. And they give me the courage to keep at it. Do you have someone in your life that helps you in that way? If you don’t, FIND someone. It isn’t as hard as you think. Start by being honest with yourself about where you are and what you want. Challenge the fears and assumptions that keep you from sharing that side of yourself with people. You may be surprised to find there might be someone right next to you who is feeling the same way you are and will welcome the opportunity to confide in you. What I have discovered and rediscovered is that the moment I connect with someone in a similar place that I am in, I become infused with the very wisdom and answers I need myself. In the act of sharing it with others, I am able to benefit from it too. Similarly, those I have connected with in the past have unlocked their own wisdom and found their answers as they endeavored to tell me things we both needed to hear. Being at a crossroads means you are on the verge of an exciting, energizing transformation. Embrace the journey – all of these moments, good and bad are opportunities for growth. Imagine finding yourself in a dark room…It’s a room that was once lit, but has since dimmed. And you have been doing everything you can to turn that light back on. You’ve even gone so far as to build a contraption that allows you to generate electricity through your own manual effort, sort of like a giant hamster wheel. The problem is you have to run continuously to produce the smallest splinter of light. And you find yourself pushing harder and faster to get that light to grow so that more of the room is illuminated once again. Off in the distance, there is another room that glows brightly and warmly beckons to you. The radiance coming through the doorway of that space is pure and beautiful and you can almost feel its glow. But despite the draw of that warmly lit room, you stay right where you are. Instead of getting off the crazy hamster wheel that requires constant exertion and toil, you just keep running faster and faster. And you are becoming exhausted. This metaphor came to me in a moment of reflection. 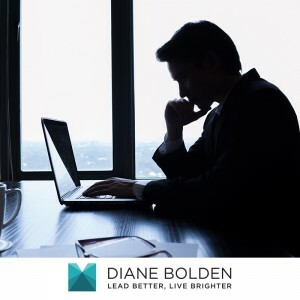 I had noticed a theme that I’ve seen echoed among several of my executive coaching clients – and in my own life as well, from time to time. What used to work well no longer produces results. And that’s a problem. What was once easy and energizing begins to feel cumbersome and draining. And rather than moving us forward, in some cases it actually thwarts our progress. But when it’s all we know, it can be difficult to let it go. We worked so hard to perfect those ways of being, of working, of relating. And it paid dividends in the past. We think to ourselves, “If I could just double down, and put a little more effort into it, a little more discipline, I could turn it all around,” right? For some, the work they did won them a promotion. Their intense operational focus and ability to dig in and get results merited them an increased scope and elevated role. They became responsible for leading and empowering others to do the work they once focused the majority of their effort on. They were being called to make a bigger, more strategic impact, but their fierce and intense focus on operational details was preventing them from making that leap. For others, it was work that once excited them but was no longer stimulating. They could do it in their sleep. Sure, they were good at it, but it was becoming a boring, tedious grind. It was harder to get out of bed in the morning. There was nothing to look forward to. And in their quiet moments, they dreamt of doing something bigger, bolder and more impactful. Some even had ideas and projects they longed to pursue or propose. But they just couldn’t get themselves to break out of the ruts they were in, and/or doubted whether they really had what it took to do anything different. And for many others, it was about working in a way that was simply not sustainable. They had a tendency to take on more than most, prioritize everything equally and live in constant fear of letting people down. So they continued running a race that was increasingly difficult to keep up with, let alone win. The stress and pressure of their environment was high, but small in comparison to the anxiety they heaped upon themselves. Regardless of which group you find yourself in, there is a better way not far off in the distance. At some level you are probably aware that something has to give… You dream of feeling energized again, of being unencumbered and inspired and engaged in meaningful and fulfilling work. But you can’t get to that new place without being willing to leave the old one. You can choose to stay in the dark, dreary room because it’s comfortable. It may no longer be satisfying, or even pleasant, but it’s familiar. Do you ever shy away from the light that is beckoning you to leave that space because you are afraid of what you’ll see or whether you’ll be able to handle it? The light reveals new possibilities for growth, significance and satisfaction. It not only illuminates the challenges and opportunities, but also your strengths – including some you may not have realized you have. And it ushers in new vitality, new energy and new clarity. When you summon the courage to leave your dark, dull room and follow the light, you’ll be filled with vigor and joy, and you’ll find your enthusiasm renewed, your passion reignited, even if you don’t believe that yet. The light of new possibilities brings both freedom and flow. No more running like hell without getting anywhere. No more banging your head against a wall only to end up with throbbing pain. No more feelings of being trapped by your circumstances. Once you summon the courage to follow the light into new possibilities and ways of working, you’ll experience a momentum that propels you forward in a sustainable way. I know this because I have experienced it firsthand myself. And over the last twenty plus years I have helped hundreds of executives just like you experience it too. I can tell you that there is simply nothing like it. And it has to be experienced to be believed. That light that beckons to you is a call to step into something bigger and more satisfying. It invites you to release old, outworn ways of working that no longer serve you and step into your personal and professional best – to unleash your greatness, to make a bigger impact and a bigger contribution. And it brings with it not only new levels of performance and effectiveness, but also fulfillment that enhances your life both on and off the job. I wrote this article for you, because my life’s work is about helping high achievers effect this transformation in their lives and their organizations. Because when you answer this vital call to realize more of your true potential, magic happens. You can quickly make a bigger impact doing meaningful work without sacrificing who you truly are. Best of all you’ll enjoy your life more. You become a shining example and a far more effective leader to others who will learn to make the same improvements in their own lives and careers. The sad reality is, some of us stay in our dark rooms longer than others. Having someone to guide and support you through the process can and almost always makes all the difference. 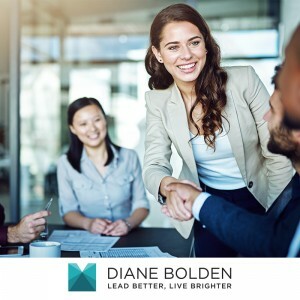 That’s why I created The Real Leader’s Guide to Freedom & Flow Group Intensive to help high achieving executives just like you make that vital leap with professional high level support and guidance, so you can move through it very quickly, with courage and grace. 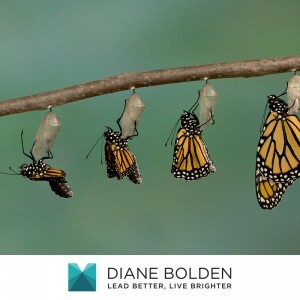 The program is a distillation of the most impactful approaches and techniques that have helped my clients over the last twenty plus years to successfully affect their own personal and professional transformations. These are powerful methodologies I repeatedly utilize in my own life as well. If anything you’ve read has resonated with you, I encourage you to give yourself the gift of registering in the program right now. 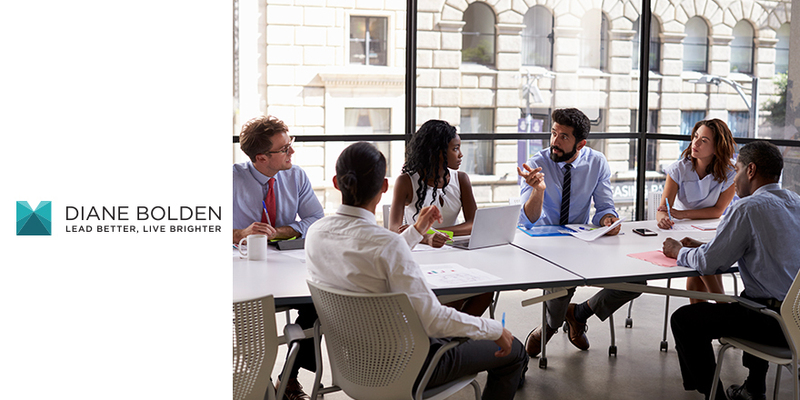 I’ll be personally guiding an intimate group of eight executives through this process over the next twelve weeks utilizing a powerful blend of online training (that you’ll have lifetime access to), small group mastermind meetings and one-on-one coaching support. This is the final notice, and registration for the program closes on Friday so that we can begin our work together next week. You can make this transformation so much more easily and quickly by joining me in this program – to get the support, guidance and coaching that helps you build momentum and sustain your progress. There are five essential phases in this process of transformation that we’ll move through together. VISION: The first phase involves having a vision of what is possible and what your work and your life will be like when you achieve it. The Personal Power Grid™ and associated exercises we’ll cover in the beginning of the program will help you gain clarity and see new possibilities. AWARENESS: The second phase entails becoming aware of your current state and the impact it is having in your life. You’ll also begin to recognize what is and isn’t working – which thoughts and behaviors are aligned with your vision and which are not. This is a tricky step because much of it occurs at an unconscious level. INSIGHT: As your awareness grows, you’ll gain vital insight that will help you strengthen your vision and inform your actions. This program is designed to help you cultivate your OWN insight in ways you were not able to do before, so that you can find answers that are truly fitting in your own life. ACTION: Once you have insight about what you need to do more and less of, you can begin to experiment with action, utilizing tools and methodologies shared in the program. The activities and reflective exercises provided will help you turn information into transformation. 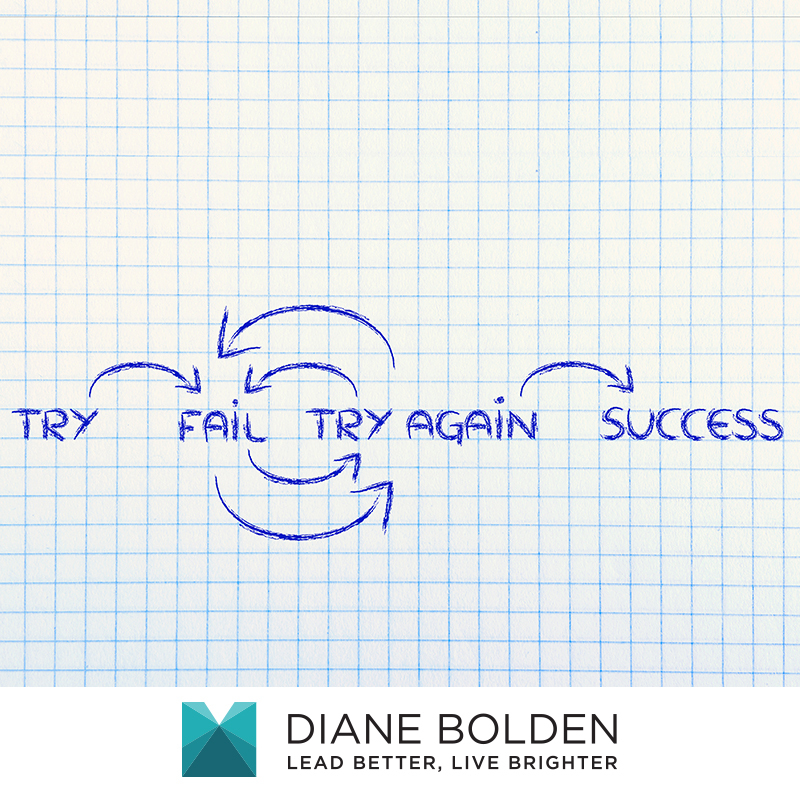 The process is iterative, as every action you take allows you to gain additional insight and awareness. ANCHORING: To ensure you don’t get sucked back into old habits and patterns, we’ll review the five pitfalls you’ll be most likely to fall into as well as strategies for prevention and recovery. We’ll also discuss regular practices you can institute to leverage your progress and keep you on your path to freedom and flow. What differentiates this program from all the others out there is that it isn’t about blindly following some recipe for success that attempts to make you someone you are not. The program is designed to help you move more deeply into who you truly are, so that you can connect with your own wisdom and allow it to guide you in ways that are authentic and natural to you, and lead you to your own personal uniqueness and strengths. You’ll learn to leverage your experiences in ways that bring clarity and focus into your life, and experience lightness as you begin to let go of things you’ve been making yourself do all these years that have weighed you down and created unnecessary pressure and anxiety. All this while enjoying unprecedented levels of performance and energy that is sustainable – because it comes from the inside out. I hope you’ll take me up on my invitation to join me now and answer your own personal and professional call to greatness. 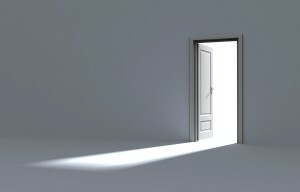 Step out of that dimly lit room and into the light of possibility, expansion and growth. The FINAL SEAT has your name on it, so claim it right now, before someone else does. If you’ve read this far, you know it’s time to act. P.S. Does your organization sponsor professional development? To assist you in getting approval to use corporate funds for your registration in the program, download the business case for participating in the program. I have always been amazed by the number of people who seem to think of work as something of a necessary evil — simply what must be done to earn a paycheck. For so many who toil through their workday, the primary goal is to make it to the weekend so they can really live. Going through the motions, working side by side with others whose hearts and minds they seldom truly connect with, they withhold the very parts of themselves that make them come alive. For some work wasn’t always a grind. Many began their careers ignited with passion and optimism, only to find that their flames began to flicker as they encountered obstacle after obstacle that kept them from achieving what they believed would be success. Succumbing to the unwritten rules of the organizations and other environments they found themselves in, which suggested they needed to act or think in a certain way to get ahead, they may have slowly sold out on their dreams and relegated themselves to quiet complacency. Many of us were not brought up to expect that work would (or should) be fun or gratifying. That’s why they call it work, we may have been told. As a result, we may have never really expected much from our careers or professional lives. And as the saying goes, life has a way of living up to our expectations. In just about every corporation, nonprofit or other organization, you will find people in jobs that do not ignite their talents and passions. Some remain dormant in those jobs because they fear that if they pursue their hearts’ desires, they won’t be able to put food on their tables. Many don’t realize that there might be a better alternative. Most of us have learned how to turn ourselves on and off at will. It’s something we often do to spare ourselves the pain of disappointment or frustration — or to maintain what we have come to believe is a professional demeanor. It is not uncommon to hear people say that they are very different at work than they are at home. Those golden parts of ourselves that we think we are protecting suffer when we do not let them breathe and interact in the very realms that provide us opportunities to learn more about who we are and what we are here to do in the world. We miss the chance to become a part of something greater than ourselves. And the organizations and communities we are a part of miss out on the unique contribution each of us has the potential to make. We can no longer afford to fragment ourselves in this way, denying the fulfillment of our secret dreams and downplaying the insights we have about what we can do to make life better — for ourselves, and everyone around us. As more and more of us feel the pain that accompanies the denial of our spirits, we start to realize that the time has come for us to bring the totality of who we are to what we do, no matter our vocation, title or role. We are beginning to awaken to our unique calls to service, creativity and innovation. As we find ways to unleash our distinctive talents and passions at work, we will significantly increase the quality of our own lives, as well as the lives of everyone around us. Corporations that take steps to create environments that allow people to thrive will be met with rich rewards as ingenuity pours forth in ways that lead to increased profit and market share – as well as the creation of self-sustaining cultures that inspire people to sustain success by doing what they do best. There are people among us who have the ability to snap us out of our trances. They show us how to liberate ourselves from states of quiet desperation and help us bring more of who we truly are to everything that we do. They can do this for others because they have done it for themselves. You may be one of them. And if you are, the world needs you now more than ever. If you are interested in answering the call to lead yourself and others, and learn approaches to help you connect with your own unique path in a way that reinvigorates your own life and that of everyone around you, I invite you to check out The Real Leader’s Guide to Freedom & Flow Group Intensive. Registration for the fall program is now open. Enroll by 9/1 with the code EARLYBIRD2 to take advantage of the early bird discount! Their words lead me to contemplate the very meaning of the words “success” and “failure.” Perhaps they are nothing more than labels we use for experiences that could very well be vital stepping stones. Both words are loaded with judgment that compels us to move closer to one and further from the other. But what if they are simply two sides of the same coin? It’s been said that Abraham Lincoln failed in business twice, had a nervous breakdown, and was defeated in eight elections. Walt Disney was fired by a newspaper editor who thought he lacked creative ideas. When he was young, Thomas Edison was told by his teacher that he was too stupid to learn anything. Soichiro Honda, the founder of Honda, was turned down by Toyota for an engineering job. Before becoming a successful actor, John Wayne was rejected by the US Naval Academy. The first novel of best-selling novelist John Grisham was rejected by 16 agents and 12 publishing houses. Before going on to sell millions of copies in 27 languages, Robert M. Pirsig’s book Zen and the Art of Motorcycle Maintenance was rejected by 121 publishers. This list could continue for pages. What these people have in common is that they didn’t let labels like “success” and “failure” define them. They didn’t allow the events in their lives (or their thoughts and judgments about them) to get in the way of their dreams or what they knew they were capable of. And their courage, perseverance and determination benefitted not only themselves, but countless others – many of whom came generations later. What’s happening in your life right now? What if it is the very experience you need to get where you most want to go? 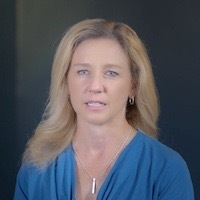 If you are interested in more tips for transforming your setbacks to springboards, I encourage you to check out The Real Leader’s Guide to Freedom & Flow Group Intensive, an exclusive twelve-week group mastermind/coaching program/online training course kicking off the week of March 20. 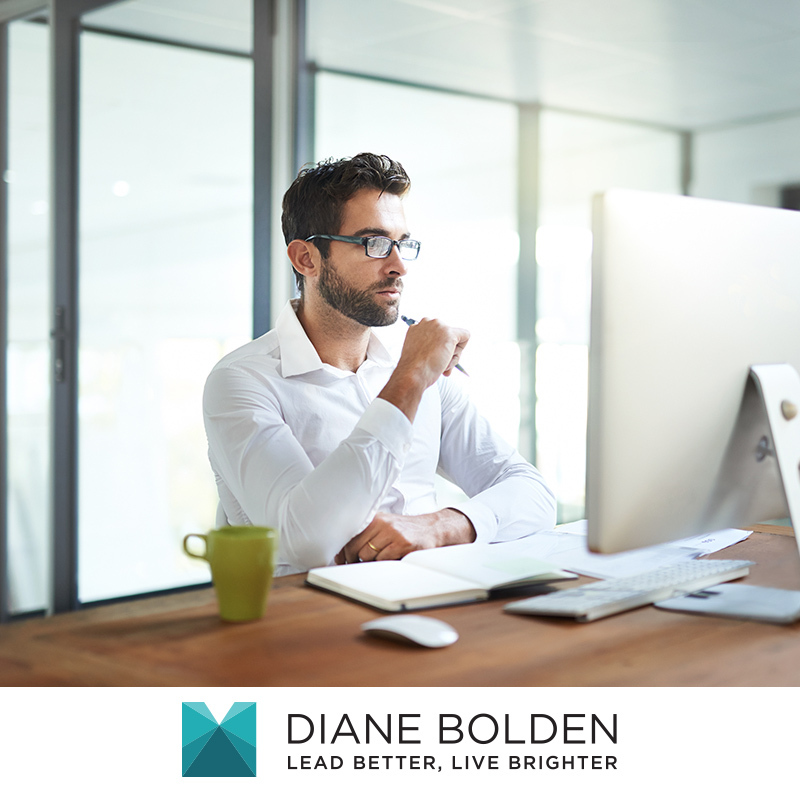 The program is a blend of online leadership development, small group mastermind, and one-on-one coaching, and is limited to eight people. Sign up today! Have you ever had an idea that made the hair on your arms stand up? Maybe it’s a dream that beckons to you – one that holds promise for your future and that of others as well. When you think of the possibilities, you may find yourself feeling light, energized, and connected to something greater than yourself. This is what inspiration feel like. It is buoyant and powerful. Simple, yet strong. And it is contagious. Inspired action tends to touch others in a way that activates something inside of them as well. It connects them not only to you, but also to themselves. I like to think of inspiration as a pull – like a magnet that draws us toward something and gives us the power to bridge the gap – even if we aren’t sure exactly how to do it. Inspiration is something we receive and it comes to us when we are receptive to it. It requires trust, faith and patience. What gets in the way of inspiration is our doubts, fears and faulty assumptions about what we can or cannot do, or what is even possible. These doubts are like layers of stuff that dilute the magnetic force of inspiration. Inspiration still beckons to us, but something stands in our way. This is where motivation comes in. It is something we summon up inside ourselves to get us to overcome the obstacles that are in front of us. And as leaders (regardless of your vocation, title, or role), it is something we often try to summon up in others to get them to do the same. Motivation often takes the form of the carrot or the stick. What gets us off the dime when we are balled up in our own fear is the willingness and the will to take action. Where inspiration is the pull, motivation is the push. The word motive is derived from motivation. Our motives can be in service to a higher good, or they can be in service to ourselves alone. When motivation is aligned with inspiration, miracles can happen. But when it is not, we will find ourselves feeling out of sync. Inspiration (a higher calling) without motivation (the will to act on it) leaves us feeling stagnant, stuck, and/or unfulfilled. When we refuse to answer our calls to greatness and play small instead, it is often because we have let our fear and doubt get the better of us. Though we may be very busy, we will likely feel as though we are not accomplishing anything of great significance. Motivation serves us best when it works through obstacles in our own thinking that get in the way of acting on our inspiration. Motivation without inspiration feels a lot like driving a car without power steering. Or it can be like trying to run through mud. It requires a lot of effort and strength and leaves us feeling exhausted. When motivation serves a higher purpose (that provided by inspiration), the load is lightened and the way becomes clear. But when the object of our desire is one that derives solely from our ego’s need for things like power, prestige, control, approval, or wealth, the push of motivation is not aligned with the pull of inspiration and we stray off course. That’s when things get difficult – we may feel as though we are exerting a lot of effort but not really getting anywhere. Sometimes motivation and inspiration begin in alignment and then gradually become disconnected. We start out feeling in sync, making great progress and experiencing a state of flow, and then hit a bump in the road. The bump may be a fear or some other kind of assumption that we need to examine and disempower before we can move on. Or, it may be that we simply need to wait awhile. The cool thing about inspiration is that it comes from a higher source. One that sees a bigger picture than we do. Sometimes there will be delays that we do not understand. Our egos can become impatient and steal the show – trying to push through these barriers with sheer force and exhausting us and everyone around us in the process. And once our egos are in charge, things have a way of deteriorating. Our motivation (or motive) mutates from being in service to a greater good to being in service to ourselves – or some ego need. What do you do when things stall out? It can be tough to discern what kind of action (or inaction) is required when we encounter an impasse. But if we get quiet, we can tap our source of inner wisdom to find the answers we need. When we purify our motives (motivation) so that they are in service to a higher calling (inspiration) we get back on the path that leads to greatest fulfillment for ourselves and everyone around us. And using motivation to remove the blocks that stand in our way will ensure that we actually make progress on that path and bring our greatness into the world in a way that inspires others to do the same. My life’s work has largely been around unleashing inspiration in my own work and helping others to do the same. And I’m so excited about a new program I’m about to launch where I will partner with a very small group (limited to eight people) in a highly transformational process. 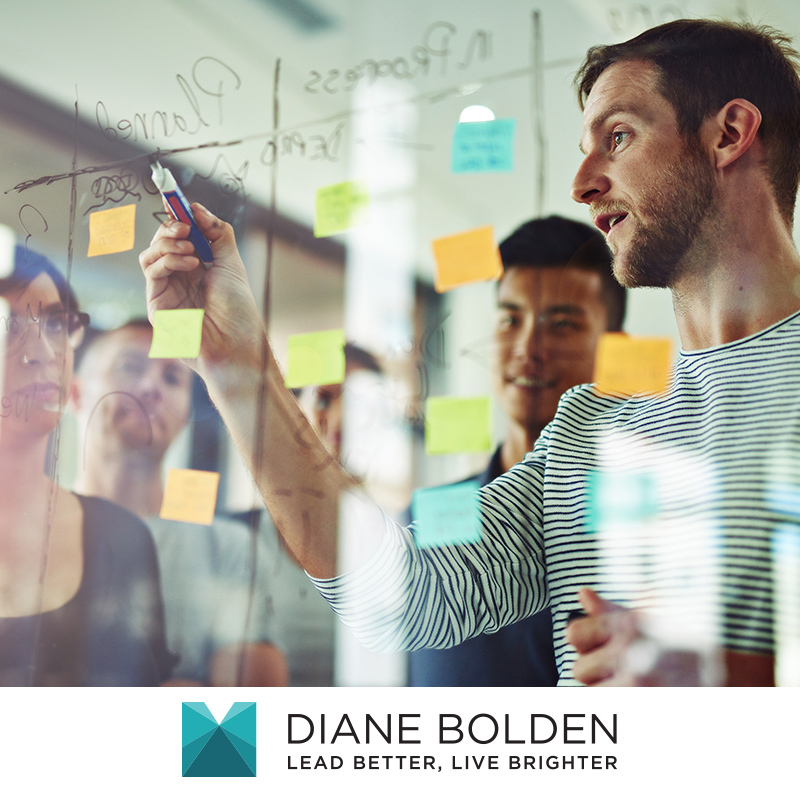 If you are interested in delving deeper into how you can infuse your life and leadership with inspiration and experience a greater sense of meaning, higher level of performance, and lasting fulfillment, I encourage you to check out The Real Leader’s Guide to Freedom and Flow Group Intensive, an exclusive twelve-week group mastermind/coaching program/online training course kicking off on March 20. Sign up before March 10 and receive a 15% early bird discount! Has work become a bit of a grind? You might tell yourself that work isn’t supposed to be fun – that’s why they call it work. But when you spend the majority of your waking hours just getting through the day or counting down to the weekend, you have a bigger problem than you might think. Let’s take a look at how work becoming a grind affects you personally. You might think that as long as you can enjoy yourself after five (or six, or seven) and on the weekends, you will be just fine. 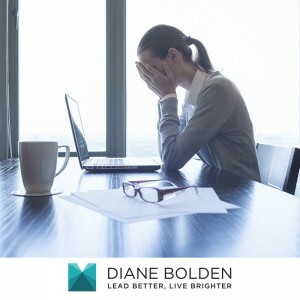 But when you spend the better part of your day on a kind of autopilot, feeling like you’d rather be somewhere else, it’s hard to keep that negativity from spilling over to the rest of your life. You may find yourself irritable, preoccupied, exhausted or just brain dead. And whether you know it or not, that infringes on your ability to fully enjoy the things, experiences, and people in your personal life that you hold most precious. You may even have a decent paycheck and enjoy a position of influence and status in your organization. But when the work you spend more of your waking hours doing is a continual grind, it’s easy to begin feeling as though life itself lacks meaning and fulfillment. Perhaps you’ve made the decision (consciously or unconsciously) to put your personal happiness on the backburner in the name of your professional success and upward mobility. Well, unfortunately lack of passion and joy on the job has a negative impact on your professional effectiveness as well. Let’s take a closer look at that. You can try all you want, but when you are exhausted and overwhelmed you will work very long days spinning your wheels without getting a whole lot done. You may think you just don’t have enough time to finish everything on your plate. And while it is true that time is finite, your real problem is lack of energy. Lack of energy makes everything take far longer than it should. It blocks you from accessing your creativity, leads you to unnecessarily complicate things, and pushes the solutions to your problems just out of reach. All of this will contribute to a feeling of being unable to get important things done, which will cause you to work longer hours and become even more exhausted. If your job requires you to have even the slightest degree of influence over others, consider this: getting someone excited about doing something is largely a matter of sharing your enthusiasm. But enthusiasm isn’t something that is easily feigned. And when you try to fake it, you will come across as being disingenuous, which will keep others from trusting you. It’s exceedingly difficult to get anyone — whether they are your coworkers, your direct reports, or your customers — to become excited about something you can’t muster up the passion for yourself. And while we’re on the subject of coworkers, direct reports, and customers, let’s talk about the impact lack of passion and joy on the job has organizationally. If you are a leader of others — whether you know it or not — you are setting the tone for the entire organization. If you are not feeling emotionally committed, passionate, enthusiastic and connected to your work and the people you partner with to do it, chances are the people you lead will not be feeling it either. Research indicates that as much as 70% of U.S. workers are not engaged. That translates into people who are physically present on the job, but not emotionally or mentally all there. When people are disengaged they go through the motions, doing as little as possible to fly under the radar. This complacency causes all kinds of problems, including low quality products and services, plummeting productivity, low creativity and innovation, strained customer relationships, intra and interdepartmental conflict, absenteeism, high turnover, and ultimately low profitability. It does little to attract key talent, and certainly does not contribute to having a competitive advantage in the marketplace. Engaged employees are people who feel part of something bigger than themselves — an organization with a shared purpose that has meaning to them. And they want to work for a boss who is turned on and tuned in to the organization and them as people. If you have no passion or joy for your own work, you will be hard pressed to inspire it in others. In fact, you could end up unwittingly sucking the joy from those who already are engaged, and/or driving them to look for work elsewhere. (1) Personally. You just can’t turn it on and off like a light switch. If you are feeling a lack of passion and joy at work, chances are good it will translate into your personal life, like a dark cloud that follows you around despite your insistence that you can shoe it away. You deserve more out of life than that. (2) Professionally. The overwhelm, frustration, and exhaustion you feel is likely keeping you from performing at your best. While you may be working very long hours, your problem is not lack of time but rather lack of energy. Lack of energy is accompanied by lack of creativity, problem solving and influence. Energy comes with passion and joy. And when passion and joy are lacking, your performance will be lacking too. (3) Organizationally. Just as passion and joy can be contagious, so too is the lack of it. A leader’s lack of passion and joy gets translated into disengagement, both for the leader, and the followers. Disengagement negatively impacts productivity, innovation, customer satisfaction, employee recruitment and retention — and ultimately profitability. So if you feel like work has become a grind — but not a problem you have the luxury to address right now, think again. It may well be that you can’t afford not to. Rejuvenating your passion and joy on the job is easier than you think. And it doesn’t necessarily mean that you have to find another job. Consider making reigniting your passion at work a priority. And if you are interested in receiving some support and guidance, I encourage you to check out The Real Leader’s Guide to Freedom and Flow Group Intensive, an exclusive twelve-week small group mastermind/coaching program/online training course kicking off on March 20. Sign up before March 10 and receive a 15% early bird discount!